Marie Laveau the great Voodoo Queen of New Orleans, discovered the uniqueness of her dual heritage which she utilized effectively to earn great respect and world recognition, by using an odd platform( Voodoo) to make historic exploits. She drew the attention of tourist and visitors who paid tokens in exchange for small request at her graveside in New Orleans. Her name till today is still being presently used in several artistic works and musical renditions. That sounds a bit weird, but the truth remains that weirdos are globally accepted. Marie was not an exception. Once she recognized her Voodoo powers, she publicized it and gained access to the well-placed families within the vicinity. Prominent among some of her weird acts was the transition between Marie1 and Marie2, both performing similar acts. Find out more about her here from her biography and interesting facts will found out about the Voodoo Queen of New Orleans. Marie Laveau, the Legendary Voodoo Queen was born free in the French Quarters of New Orleans, Louisiana on Thursday, September 10, 1801, and lived for 80 years before she kicked the bucket on June 15, 1881. Her biological mother (a native American, African and French descent) Marguerite Henry, also known as Marguerite D’Arante was a free woman of color. Her father Charles Laveau Trudeau a French man, was a surveyor and politician who served as Mayor of New Orleans in 1812. Interestingly, Marie was raised by two different ladies who were both headstrong and determined. Her grandmother Cathrine who was taken from Africa at the age of 7 earned her freedom by buying herself out of slavery, to become an entrepreneur that bought lands and worked hard to have her five kids freed also. This then means that Marguerite (Marie’s mother) was a slave to her biological father from who she gained her freedom when she turned 18. Marguerite also had an arranged relationship with a rich white man (twice her age), in the relationship, she had three children with the man and she still had other lovers including Charles Laveau( Marie’s father). After giving birth to Marie at her mothers home, Marguerite left the baby with her mother Cathrine and went back to her relationship. It was her illiterate, uneducated but tenacious grandmother that taught Marie how to figure out ways to skillfully navigate her way through the worlds of white and black in New Orleans by tactfully playing these races against each other to gain respect and fear of the entire city. Marie Laveau married Jacques (also known as Santiago) a French immigrant who fled as a refugee from the Haitian massacre in the former French Territory Saint Dominique. After his supposed demise, Marie entered into a relationship with Christophe Dominick Duminy De Glapion (a white man of French descent) who she lived with till he died in 1855. She had 15 children with only two surviving (Marie Euchariste Eloise Laveau and Marie Philomene Glapion) one of them who you know continued with the mothers Voodoo. Facts About The Voodoo Queen. Voodoo ( a blend of West African Religion brought by slaves, Christianity, and Native American traditions) though largely different from the pop-culture perception is a major part of New Orlean’s history. Madame Laveau the black priestess of astonishing beauty, wielded tremendous power in her vicinity to the extent that rumors of her (being the first black woman to tactfully merge the black and white together under a common platform (Voodoo), in the era of slavery) spread quickly. Unlike the general perception of Voodoo, Marie’s legend is different from reality. She opened a beauty hairdressing parlor where high and prominent women of New Orleans of that time came to make their hair. It was in such a capacity that she got information about their homes. Using Sundays which was a free day for slaves, Marie Laveau joined the slaves at the park to create a gyration that ended in drinking, dancing, and discussions. From which she gathered more facts about the homes of the noble in the society. she’d cure these slaves or give them charms in exchange for information. Hence many prominent folks came to her for charm, advice, and cure for their ailments. During her private counseling sessions, she always had answers to love-related issues, court cases, and health issues. In front of her cottage, she had alters filled with candles, holy images, and offerings. Weekly meetings were held with participants (including whites and blacks) dressed in all white outfits and would chant, sing and leave an offering of liquor and food for the spirits. 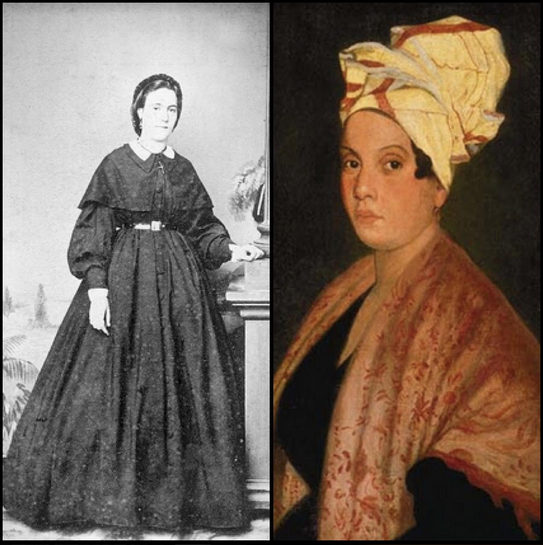 Marie Laveau acquired such a prominent position in New Orleans through the combination of her strong personality, works of charity, and natural flair for theatrics. 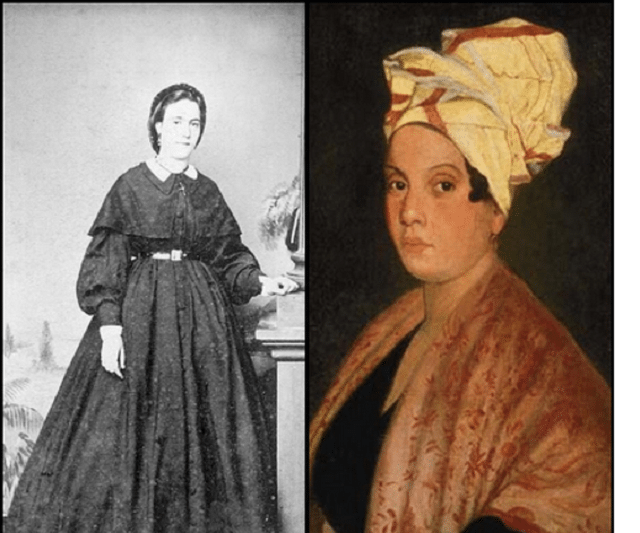 She participated in numerous community services which included, nursing yellow fever patients, posting bail for free women of color and visiting condemned prisoners to pray with them in their final hours. Mystical Powers or Just Access to Information? The legend of this mystical lady cannot really state whether or not Marie had a snake named Zombi (after an African god), the occultic aspect of her magic mixed with African spiritism or if her divinations were supported by a network of informants she developed while rendering home-service, or hairdressing her white clients. Could it be that Marie was truly a powerful priestess with supernatural strength or was a smart businesswoman who knew the importance of giving people the spectacle they needed? Doubtlessly, she is really a fascinating person for being the first black woman who greatly influenced the deep south during the days of slavery. Incredibly, Marie has left an indelible mark because of her prominence in the history of Voodoo activities in New Orleans which has inspired a lot of artistic renditions. In Visual Arts, Renee Stout (the African American artist) uses Laveau as a visual motif.